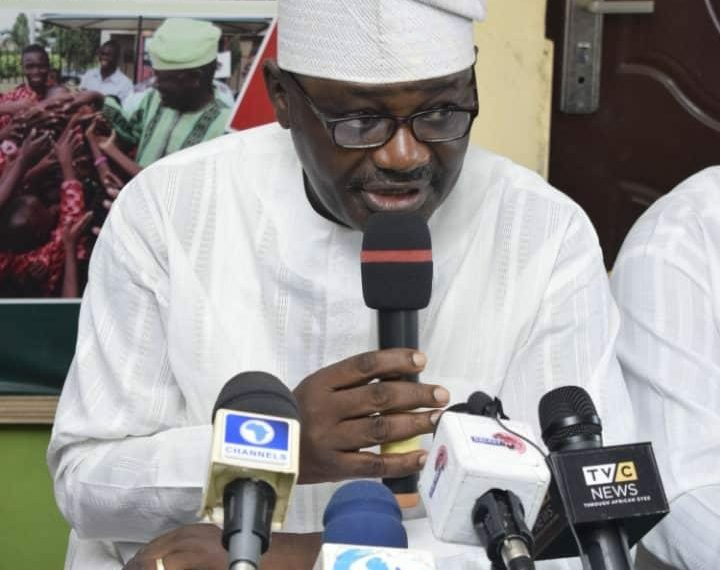 The Ogun State governorship candidate of the African Democratic Congress (ADC), Gboyega Nasir Isiaka, has raised the alarm over what he termed “clandestine and well-orchestrated plan” by the opposition political parties in the state, to manipulate the results of the March 2 governorship election. Isiaka, who declined to mention the parties involved in the alleged plot, disclosed that the “plotters” have perfected four different rigging plans, including unleashing of thugs to precipitate violence in many polling booths and compromise the collation of election results. The ADC governorship candidate, otherwise known as GNI, rang this alarm bell at a World Press conference held at his campaign office in Abeokuta on Wednesday. Speaking further, Isiaka, explained that part of the plans to skew the outcome of the poll in the state, included ploy to declare poll results inconclusive and force a rerun in premeditated polling booths. He, therefore, warned the newly posted Resident Electoral Commissioner (REC) in Ogun State, Prof. Abdul-Ganiyu Raji and his team not to allow themselves to be used for “the sinister plot of the anti-democratic elements,” just as he expressed his party’s readiness to defend votes freely given to it by the voters. He also called on security agencies, including the police, DSS, NSCDC and military formations in the state, to be on notice of the alleged rigging plans and intended security breach by certain names loyal to the government of the day. GNI added that the alarm raised by the former President Olusegun Obasanjo, on the alleged grand plan by the ruling All Progressives Congress (APC) to rig the February 16 presidential election, was not a farce, tasking the security agencies to be alive to their responsibilities and prevent what he termed “localisation and domestication of APC rigging plan in Ogun State”. “At this juncture, l wish to – and on behalf of our party – raise an alarm about the clandestine and well-orchestrated plan by known opposition political parties – to manipulate the March 2nd 2019 gubernatorial election. In the last few weeks, we have been inundated with unimpeachable information and security reports about the grand plot by these elements to deliberately compromise that election. “They have hatched four different rigging plans. Their first plan is to unleash thugs to precipitate violence in many polling booths and compromise the collation of election results up to close figures and push it to a point of having overall results declared as inconclusive (in a first run scenario) and then force a rerun in premeditated polling booths within a particular senatorial district (name withheld); where they then hope to cement the plot by outright intimidation and harassment of our party members or sympathetic electorates. “The recent controversial Osun State governorship election comes to memory. The full details and mode of operation of implementing these plans will be kept away from these conference for both security and strategic reasons. However, we must state that these grand plot is their response to an apparent defeat at the polls,” Isiaka stated.